FLAWLESSLY BEAUTIFUL! Paradise awaits in this exquisitely decorated residence with finest upgrades! This gorgeous 2015 built home shows BRAND NEW! Rarely lived in. 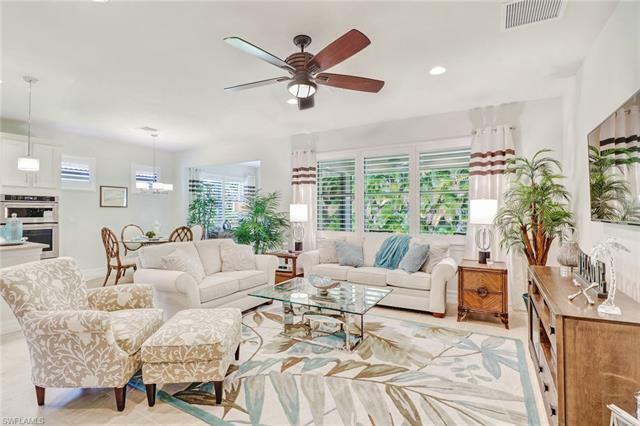 Enjoy 3 bedrooms, 2 baths, a large 2-car garage, a sun room & an oversized screened lanai offering PRIVACY & space for nice pool! Aragon Pools will build a pool of your choice: https://www.aragonpools.com/ This residence is tiled throughout, plantation shutters and luxury upgrades define the house! Indulge in the Gourmet Kitchen featuring an island, upgraded luxury cabinets, stainless appliances, quartz countertops - an Entertainerâs dream! The Master Bathroom features an oversized shower, quartz countertops & daylight! Guest bath features bath tub & shower. Enjoy the tranquility in your beautiful bedroom. Special screens in garage & front door. Remainder of builder's warranty on the home. This WATERFRONT community features a PRIVATE MARINA with DIRECT GULF ACCESS, a private pier, 2 community pools, tennis, a private beach & amazing sunset views of the river. LOW HOA dues! Boat slips can be leased. Minutes to restaurants, shopping, entertainment & to the Beaches. Enjoy a relaxed lifestyle!